Huge Savings Item! 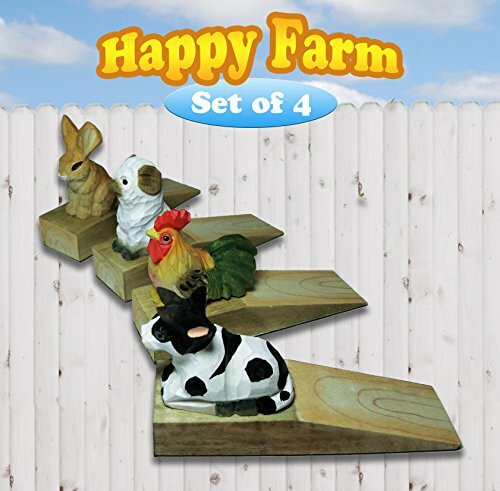 Save 17% on the Friendly House Wooden Animal Novelty Wedge Door Stopper (Happy Farm Set of 4) by Friendly House at Home Decor Outlet Store. MPN: A. Hurry! Limited time offer. Offer valid only while supplies last. What can these door stopper do for you? --Keep the door open when our child is sleeping inside the bedroom while we are outside doing housework. If you have any questions about this product by Friendly House, contact us by completing and submitting the form below. If you are looking for a specif part number, please include it with your message.